IT Consulting & Support | Vincent Associates Inc. Whether it’s secure information networks, software solutions or data management, Vincent Associates has the knowledge, expertise and experience you’ll want for this all-important aspect of your organization. Our seasoned IT staff will first work with you to carefully define and develop the requirements for your project. Only then will we recommend a customized solution and undertake implementation. Our approach combines the benefits of in-depth consultation with our experienced staff. Expert implementation and hands-on training means a seamless, worry-free transition to total in-house operational capability. We work with you to define a network architecture that is appropriate for your organizational needs. A one-size-fits-all approach to network set-up simply does not work. That’s why we place so much emphasis on consultation, to clearly define your needs and customization to build the most effective network solution. With this understanding, we establish an appropriate level of resiliency, selecting the hardware that best supports your network requirement. Network security and the integrity of your data are paramount. Yet security threats abound – mostly invisible to the untrained eye. We can help you avoid the costly mistakes and oversights that could put your network – and your data – at risk. Get the benefit of our years of experience in risk-assessment and threat-suppression as well as building and securing networks. We’ll work intensively with you to assess and identify your system’s vulnerability to both external and internal risk. And we’ll help mitigate those risks with appropriate defense measures, including monitoring solutions to ensure the continuous integrity of system security. The bottom line: Peace of mind protection and a workable business continuity solution tailored to your needs. Disaster Recovery (DR) and High Availability (HA) are vital in ensuring that your system is available, particularly during peak usage. In the event of an unforeseen issue such as a power outage, you want to be sure that your system is up-and-running with minimal adverse effect on your business. Since 1995 we have amassed a wealth of experience designing, developing, managing and protecting not only our clients’ systems but our very own as well. 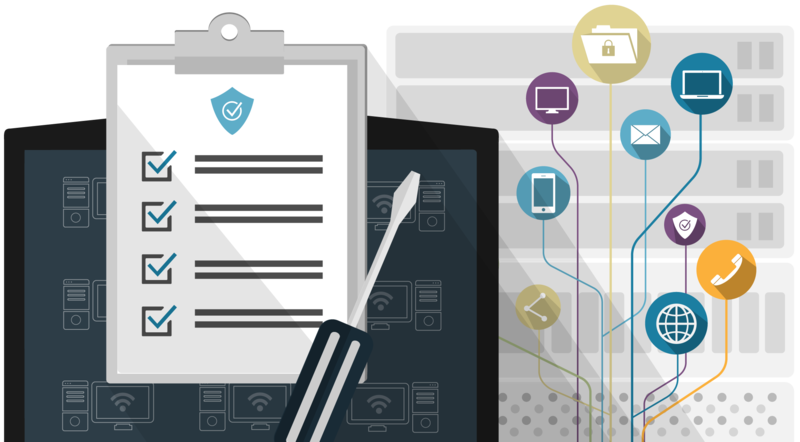 Leverage our expertise to help you attain the efficiency and protection you need to keep your business network running smoothly. Networks and information systems don’t run themselves. That’s where our training and support services come in. We offer comprehensive on- or off-site training for your personnel to ensure full understanding of – and compliance with – your system configuration and operation. And we’ll never leave you hanging. End-user support plans are also available to provide continuing, regular training where gaps might exist in cases of personnel turnover, temporary placements, refresher sessions, system upgrades or for other specific operational needs. Like any complex machine, your systems hardware needs periodic maintenance for maximum performance. And we’ll do much more than a simple “dusting and cleaning”. We have years of in-the-field experience and know-how in building, configuring, upgrading and maintaining IT systems and networks – including our own. We’ll take the worry out of network maintenance by ensuring your servers are updated, upgraded and bug-free. No clogs. No blocks. Minimum downtime. In short, we’re dedicated to maintaining your information flow at peak efficiency. No third-party licensing. No off-the-shelf product. No “offshore” support. We’ll custom-design and build a software solution that fits your needs. We’ll install it. We’ll test it. We’ll de-bug it. We’ll train you on it. And we stand behind what we build. You’ll always deal directly with us – you’ll never be referred to unhelpful, unsecure or confusing third-party support. Over and above our initial guarantee period, we offer a variety of cost-effective support plans. That means no surprises. No hidden costs. And that lets you accurately estimate and control IT budgets. The Vincent Associates software solution: Custom builds. Direct support. Cost-effectiveness. Employee interconnectivity, the virtual office, secure data transfer. It’s the twenty-first century workplace paradigm. As a company adapted to this paradigm, we have the know-how to build secure networks that seamlessly connect geographically separate offices or establish reliable work-from-home choices for “telecommuting.” After all, “networking” is the watchword for the evolving organization. And who better to trust your network to than the experts at Vincent Associates? The data you need, when, where and how you want it. It’s a tall order, as any organization swamped with the data tidal wave knows. But you don’t have to be swamped. Instead, we’ll help you surf the data wave. Data is our business. We know how to handle it, sort it, compile it, configure it and transfer it. We’ll make your data do what you want it to do. In fact, we’ve built our reputation on ultra-safe data handling. So we definitely have the experience in providing the database extracts and output files that fit your specific needs. And we’ll do it securely, confidentially and efficiently. Let us show you how to make your data a profit centre, not just a cost centre.